Daria specialises in UK residential leasehold and freehold transactions for domestic and international clients. Daria has been working within UK law since 2006. She joined the firm in 2012 and is now advising on all areas of UK residential leasehold and freehold transactions for domestic and international clients. Daria acts for banks, companies and high net worth individuals, predominantly from Russia and CIS countries, on acquisitions of prime London properties as well as disposals and secured lending. In addition to her English qualifications, Daria is a fully qualified Russian lawyer and worked as an advocate in the Russian Federation. As part of her practice in Russia, Daria advised on corporate and company law matters. She also represented clients in courts of all levels on a variety of civil matters and has experience in commercial litigation and international arbitration in the UK. Daria is admitted to practise in England and Wales. 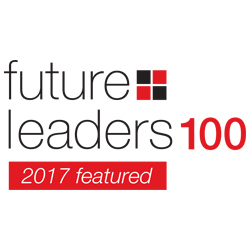 The Citywealth Future Leaders list features lawyers who have shown promise from a young age.